It is true! Wineries are going green! Over the past several years wineries across the country are working to reinvent themselves to keep up with the times. To successfully do this they have strived to elevate the visitors experience overall, focus on the environment by using eco-friendly materials, and are relocating to areas that are closer to people. Although wineries are in essence industrial sites, they have to find a balance in their design between the warehouse feel and the interior luxury of the visitor’s quarters. Visitors want to experience and take in the wine making process, but they also want to relax and have a sophisticated tasting experience. Many wineries that are in this phase of reinventing themselves are finding that by using reclaimed wood they can get the ambiance they are hoping for. The look and feel of reclaimed wood as paneling, furniture, accent décor, cabinetry, bars, and mantels offer winery visitors a full wine country experience with a touch of class. Usually the wineries will use reclaimed wood that is specific to the region to really capture the process of the wine production from land to bottle. By incorporating architectural characteristics from within a region and complimenting it with modern day touches using reclaimed wood, these new wineries are breath taking. Just like private homeowners, commercial businesses are finding that using reclaimed wood is not only good for the environment because it is a sustainable material it also offers a unique flare to any décor. Not to mention the historical value of reclaimed wood cannot be found in any other product on the market. These efforts using reclaimed wood are definitely enhancing the visitor experience. 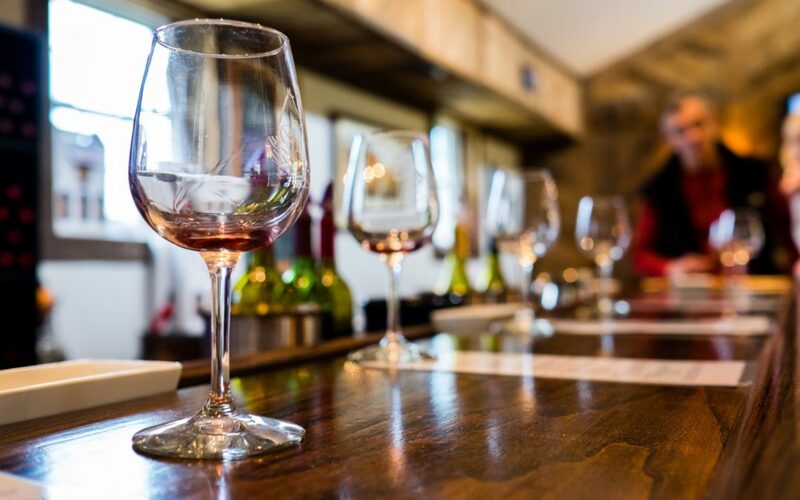 Wineries are not just focusing on scheduled wine tastings but are offering a place that people can come and go, eat and relax amid the beautiful landscape of their locations and the historical luxury of the reclaimed wood décor. Wineries are Going Green, and So Can You! If you are a wine connoisseur and love the look of reclaimed wood, you can bring the essence of the wine country into your own home. Reclaimed wood can be used to build wine racks mounted on walls, free standing wine cabinets, wine bars, and wine carts. The options are limitless. Take some time to browse through photos of these items to get ideas of your own. If you are intrigued by this reclaimed wood décor and want to take these ideas to the next level… considering this! Many of today’s larger wineries are switching from wood barrels to stainless steel barrels because it gives wine makers more control over taste and production. These well- known wineries like Sutter Homes are deconstructing their thousands of barrels to offer the reclaimed wood to the public. This reclaimed wood is extraordinary because it is adorned the smell and actual color of the very wine that it held. This inventory of reclaimed wood is limited and is melded with generations of history. You can use this reclaimed wood stained side out to capture the authenticity of the actual wine making process or polish it down. Whether your reclaimed wood is from an actual winery or from other buildings from centuries ago, the charm and elegance that you will get using this material is timeless and priceless.